The promotion is inspired by BethAnn Telford, a brain cancer survivor and Ironman athlete, who will compete in the 2017 World Marathon Challenge where she will run seven marathons on seven continents in seven days. At Neema Hospitality, we're inspired by BethAnn and want to help her raise one million dollars for brain cancer research. This summer, Neema Hospitality will once again donate $5 per night at its nine hotel properties in Pennsylvania, West Virginia and Maryland to support ABC²(Accelerate Brain Cancer Cure), a non-profit research organization. BethAnn Telford is the inspiration behind the summer charity promotion. Telford is a brain cancer survivor, Ironman World Champion triathlete and childhood friend of Sandeep Thakrar, President of Neema Hospitality. Her most recent endeavor was Crossing the Canyon, a 9-hour rim-to-rim trek of the Grand Canyon on behalf of ABC², which has raised over $25,000 for research. In total, Telford has helped raise more than $800,000 for brain cancer research since her diagnosis. Next up for Telford is the 2017 World Marathon Challenge, where she will run seven marathons on seven continents in seven days to benefit ABC² and hit the $1,000,000 milestone. Neema Hospitality is a leading hospitality group with a proven track record of success. It is known for its improving efficiency, increasing revenues, and excellent customer service. Founded as a family business in 1986, Neema Hospitality’s portfolio includes franchise licenses with Hilton, Intercontinental Hotel Group and Choice Hotels with brands such as Hampton Inn, Holiday Inn Express, Comfort Inn, and EconoLodge and Suites. The firm manages properties in multiple states including: Pennsylvania, West Virginia and Maryland and provides complete services including operations, sales and marketing and revenue management. For more information, visit: http://www.neemahospitality.com. BethAnn Telford has been fighting brain cancer since she felt a pop in her head while running the Marine Corps Marathon in 2005. Eleven years after her life-changing diagnosis, Telford, from Camp Hill, PA, has become a symbol of hope, courage and determination for people facing all types of challenges in their lives. 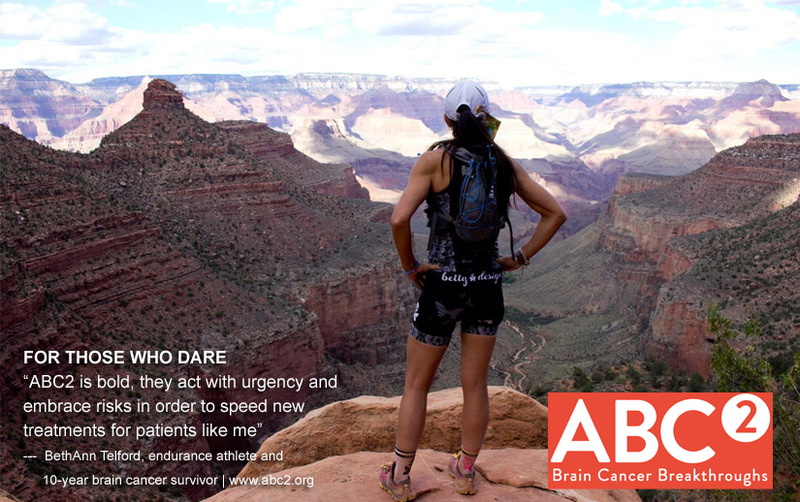 Telford is an Ironwoman and brain cancer champion who has raised nearly one million for ABC². 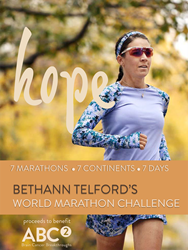 Next up for BethAnn is the 2017 World Marathon Challenge, where she will run seven marathons on seven continents in seven days to benefit ABC². For more information, visit: http://www.teambt.org. ABC² is focused on speeding the discovery of a cure for brain cancer. By applying an aggressive, venture funding approach not typically seen in the nonprofit sector, ABC² closes current gaps in funding in order to catalyze research and rapidly bring new therapies to patients. ABC² has awarded more than 100 grants totaling $20 million in brain tumor research funding to highly qualified investigators and physician-scientists from 54 institutions and companies. To learn more, visit http://www.abc2.org.